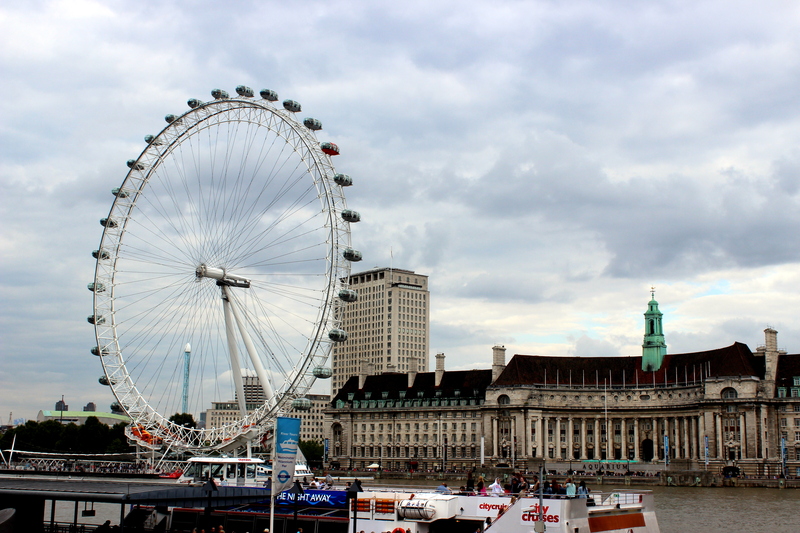 The London Eye in you guessed it… London, England soars 443 feet high. After it was built in 1999, it was the world’s largest ferris wheel, however when the Star of Nanchang in China opened in 2006 it surpasses it at a whopping 520 feet. 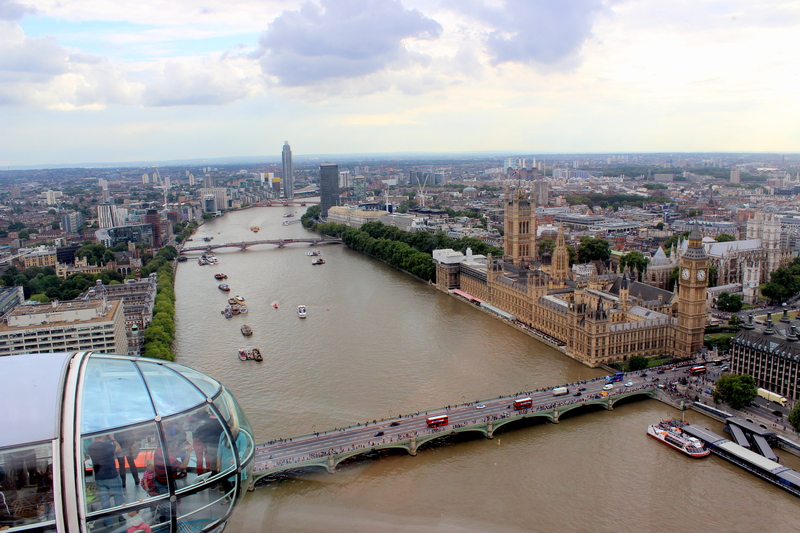 The London Eye has 32 capsules that hold up to 25 people for a 30 minute ride. 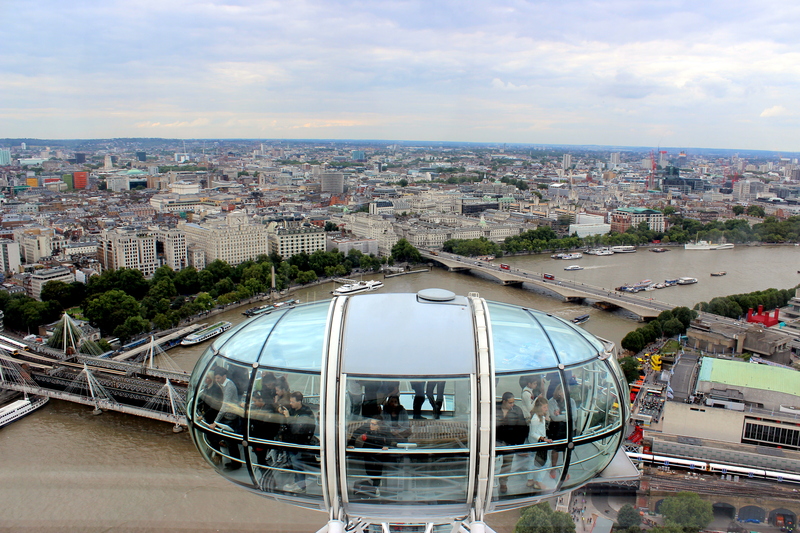 I was a little hesitant to go on it once I realized that most of the capsule was transparent, however it provides you with an unbeatable view of London, so I decided to be brave! Be warned the wait times can be long. You could waste the best part of your day waiting in lines that could range between 1-2 hours or more. Not only was the line huge, but the estimated time was completely off. From the time we joined the line they said it would be 30 minutes before we got on the wheel, however it ended up being almost 90 minutes. If I would have realized that, I would have invested in a Fast Track ticket which allows you to get head of the line. If you don’t have the time (or patience) for the wait, then I would suggest purchasing this ticket. It is £29.50 vs the standard ticket price of £20.95. To save time and money, buy them online. As well as getting them cheaper, you also won’t have to wait on an additional line to buy your tickets. 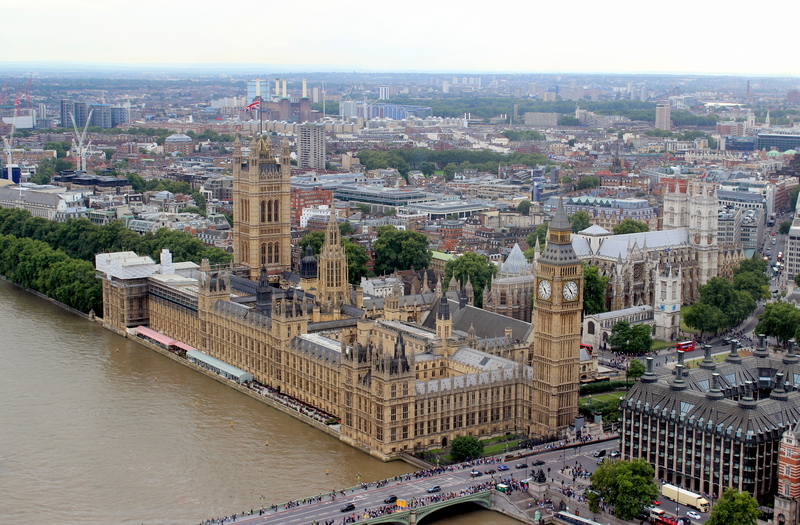 Furthermore if you are planning on visiting multiple attractions, such as Madame Tussauds, SEA LIFE London Aquarium or the London Dungeon then you can buy them together with a special combination ticket package. You can save up to 40% if you purchase multiple attractions at once. 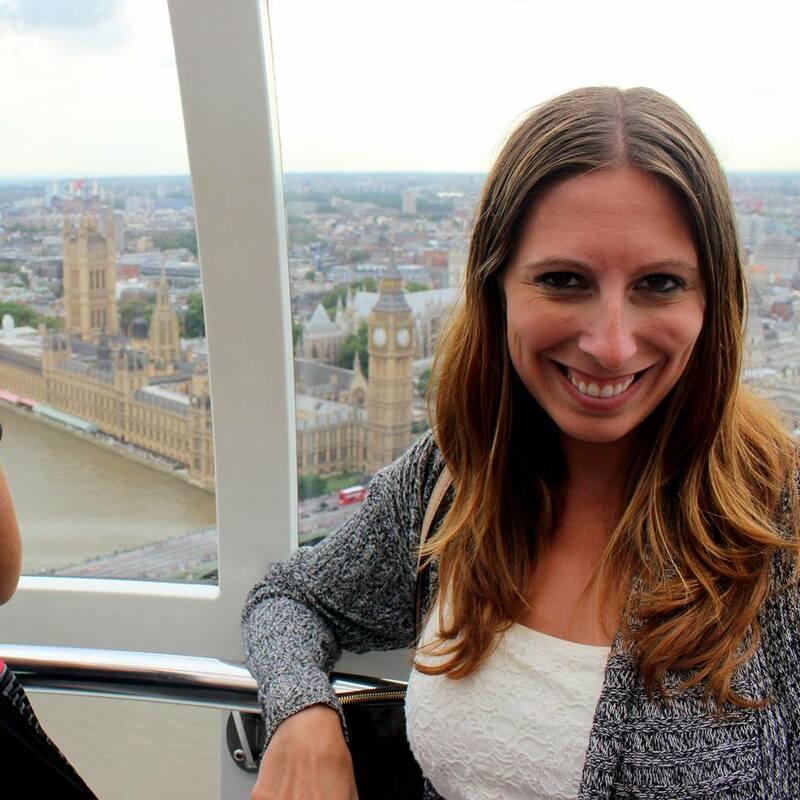 Once you do get on the wheel, the views are simply stunning, which made the wait time completely worth it. As you can see from my photos below, there is a long wait for a reason! Great tips! 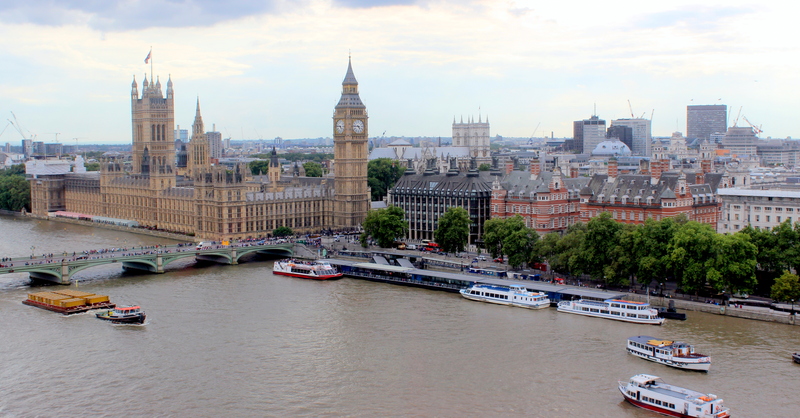 If I am lucky enough to visit London I will definitely take your advise! Thanks! Wow! 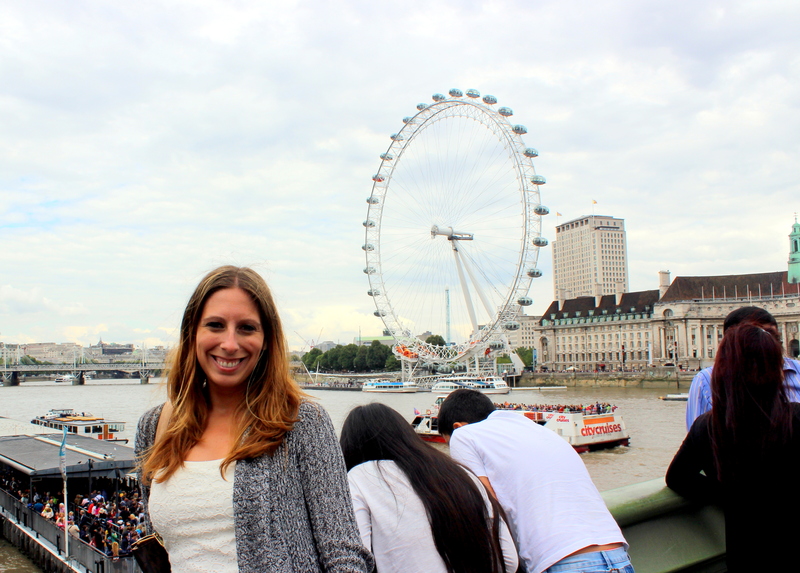 We’ve been to London but was able to stare at the London Eye from afar! Maybe on our next trip!! You really have nice photos too and your website is so clean looking!! Love it! 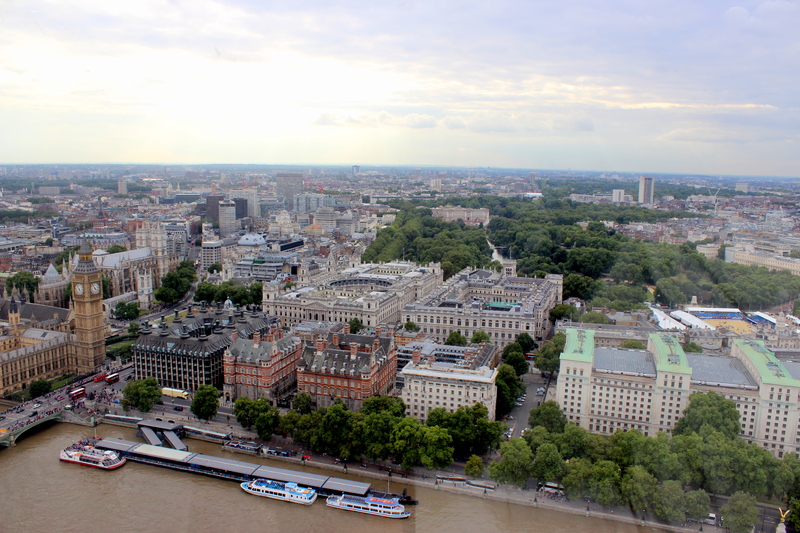 Love the London eye, a must do but as you said there are a few ways you can save money and time, we bought the combination tickets! Great view! Next time I go will I do that. I didn’t have enough time to do multiple activities this time around! I remember standing in the line and thinking “This is not worth it, this is not worth it” and then when finally on the wheel “Oh wow, it was worth it” 😀 Didn’t know that you can buy tickets online though, next time I’m gonna do it! That is a hard thing to do! It rains so much! 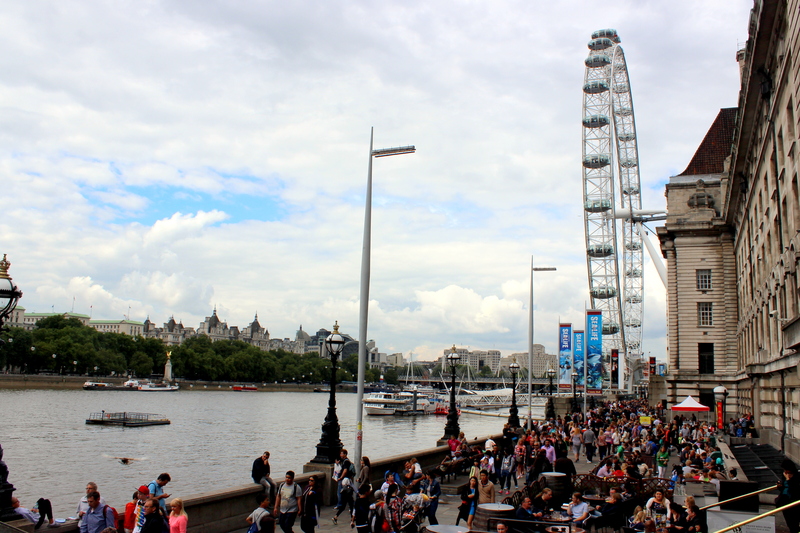 I’m lucky… I’ve been on the Eye 3 times and never had to buy tickets or wait in line! 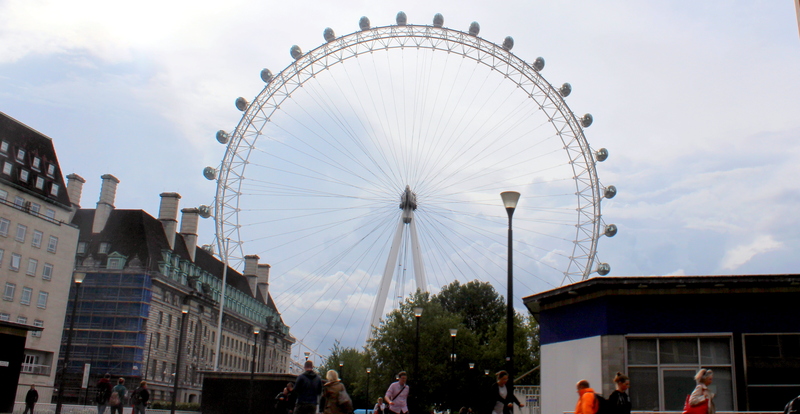 I had to go on it various school trips while studying in London so we always got to cut! Looks like buying tickets online is the key to skipping lines all over Europe! 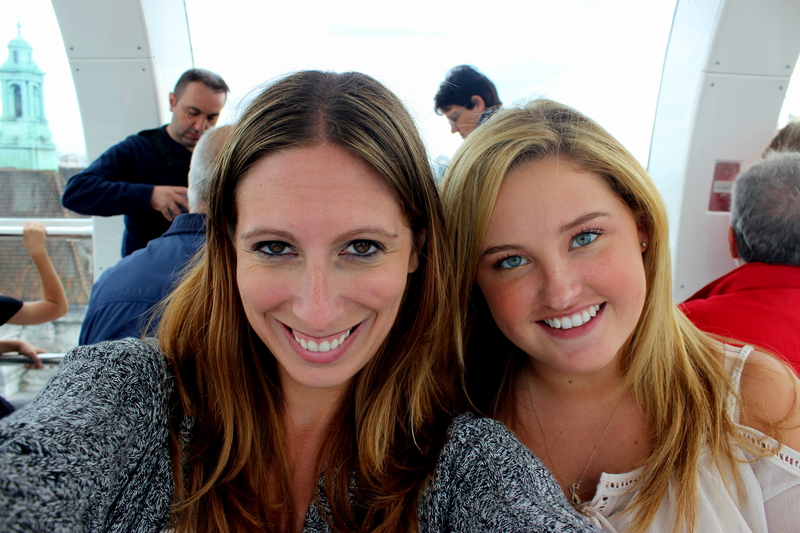 I love your posts, because you go beyond just telling us what you saw and did, and help us plan our trips with loads of tips as well! Great pictures and I appreciate the advice. I bought my tickets online several years ago and that fast-track is definitely the way to go, or be there really late at night. (I love it all lit up) Have a great trip! Next time I want to go at night. I bet it looks beautiful lit up! 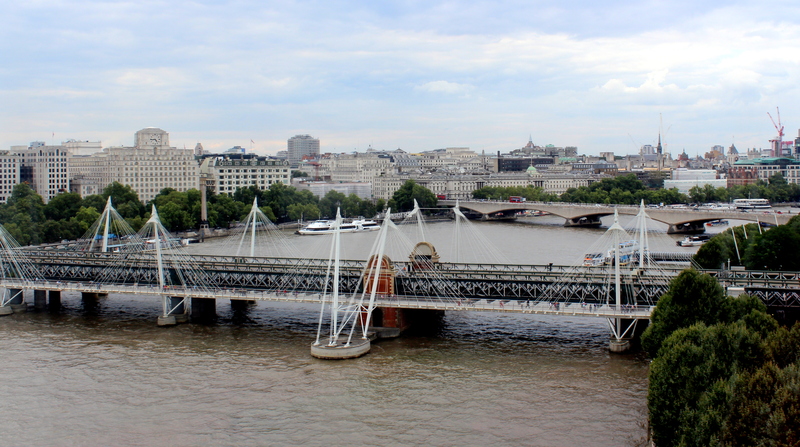 Great tips and pictures 🙂 I’ll definitely re-visit this post when I make it to London! Hope you get to put them to use! Gorgeous pictures! 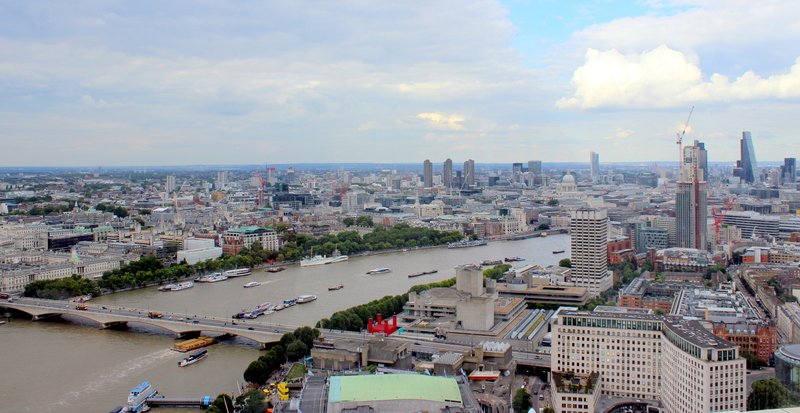 I am very biased when it comes to London, my home-town and the South Bank is really fantastic. I love to walk along the river.